Need to be over 18 to order. It is an offence to supply to any person under the age of 18. 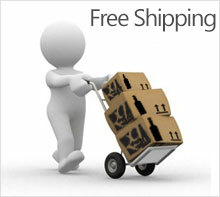 Russell Gehling Wines is an Australian business and all transactions are in Australian dollars. Please allow 7 working days for delivery by FASTWAY transport as timeframes will be determined by their schedule and delivery routes. We ship only in Australia presently. We respect your privacy any information we have about you will be stored securely . Please note our wines remain the property of RGW until full payment received in full/approved by credit provider. If you wish to cancel an order or if you have a problem with an order please contact us as soon as possible through the Contact Form on this site or by replying to our order confirmation emails.